There is nothing better than enjoying the gastronomy of your holiday destination. If you are planning a vacation in the Mexican Caribbean, you have to visit these 5 restaurants in Cancun, you won’t regret it! The freshness of the ingredients that you can find in Cancun will make you remember your vacations forever. You can go on a tour, swim with dolphins, visit the Interactive Aquarium and then eat in one of the best restaurants in Cancun. This is a place to visit in Cancun because when you get there you will find a unique atmosphere, it has a Mayan garden and a saloon decorated like the big and luxury farms of the region. The food is spectacular, there are original creations and you will find a menu with a large selection of dishes with seafood and fish from the Caribbean. If you want to taste real Mexican food, you will taste it here, such as fine steaks and the best quality of meat. What do the commensals think? “I loved it, excellent food, delicious drinks and all the team treated us very well. I definitely would go again without thinking twice, it is a very nice place to be with family or with friends or to spend a romantic dinner ". - Erika, Tripadvisor. To the question “where to go in Cancun to eat?”, Puerto Madero is the answer, not only because it is along the ocean shore, but also because they have a large wine list that you can pair with any of the meat or seafood dishes that this place has to offer. Even though it is an Argentinian restaurant, the ingredients are from Cancun, and from the Caribbean Sea. “The food in Puerto Madero is exquisite, excellent service, I love this place, never disappoints!" – Lety G, Tripadvisor. This restaurant is not in the touristic zone in Cancun, but is worth it to visiting it and tasting the sealed tuna or the homemade ravioli, it will make you feel in heaven. 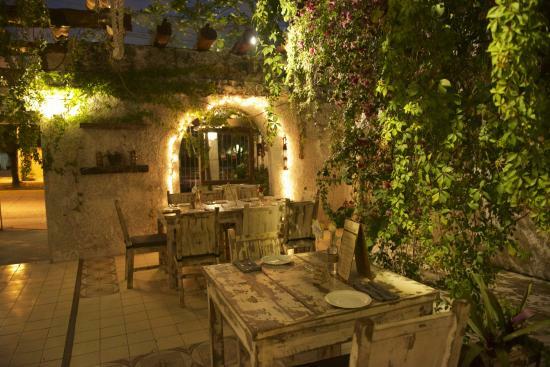 This restaurant in Cancun is located in the garden of a big house, and the decoration at night is gorgeous, it has a very romantic atmosphere. They also grow their own vegetables, so all you can find here is really fresh. “I loved this place, prices are very accessible and the food is delicious, it is perfect to go with your partner because the environment is ideal. It has three types of wine by the glass and the service is very good”. - Ernesto G, Tripadvisor. Be a witness of one of the most beautiful sunsets in Cancun from the Thai Restaurant, while floating in a boat after your meals, one of the best experiences ever. This restaurant is located in the mall La Isla, here you can go shopping in the best brands stores, and even it sounds incredible you can swim with dolphins too. 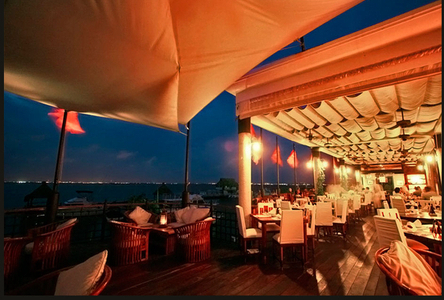 At the end of the day, you can go to Thai restaurant and end a beautiful day in Cancun. 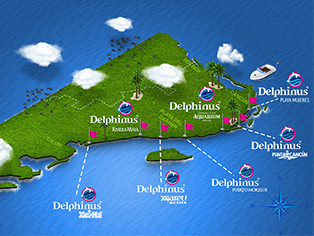 “Incredible place, from the waiting lounge, where you have a view of the dolphins, to the private zone in the lagoon. Ideal for a romantic escape for couples”. - Heriberto G., Tripadvisor. At the last but no the least, we highly recommend to you Marinero’s restaurant, an authentic seafood restaurant with the most fresh ingredients to prepare exquisite dishes. The best of all is that you can find this place at the very heart of the hotel zone, just in front of the Cancun’s Convention Center. “We loved this place, very good service, delicious beverages and food. Carlos gave us great service, very polite and fast. Of course we will be going again in the future!”. – Vattlelapesca15, Tripadvisor. What are you waiting for to eat in the best restaurant in Cancun? Live a unique vacations with the most delicious and exquisite complement ever.